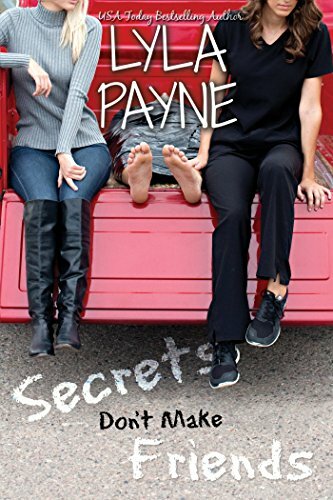 ﻿ Download "Secrets Don't Make Friends" by Lyla Payne for FREE! Jeyne Dalton has graduated from college, medical school, and has slogged through half of a surgical internship year with flying colors, which she figures HAS to mean she’s put her past – and her family – behind her for good. If only she hadn’t answered that random ad for a roommate, her life would be pretty damn perfect. Dinah Robbins knows that, no matter what she does, the horror that is her life will never be behind her…unless her controlling, threatening, abusive boyfriend finally kills her. She’s floating, waiting, and advertised for a roommate as a last ditch, listless effort to save herself a few beatings here and there. Jeyne and Dinah may have been roommates for months, but they’re not anything like friends. In fact, they hardly know each other at all – until the night Jeyne comes home late to find Dinah in a heap of trouble. The two girls then find themselves sharing a secret that brings them together in a way they never expected. And upends their lives in a way they may never be able to set right. TRIGGER WARNING: The beginning of this book deals with a physically and emotionally abusive relationship in a honest and realistic, violent manner.